Successfully Added Xiaomi Umbrella - FONEWR Water Resistant, UVtex Fabric, Ultra-Strong body, Wind Resistant , UV Sunlight Protection to your Shopping Cart. Conquer the worst type of weather without the fear of getting wet ever again with the Xiaomi umbrella. This state of the art umbrella protects you against extreme weather at both sunny and rainy days. Crafted out of premium materials, there is nothing that will stop this umbrella from doing its job. 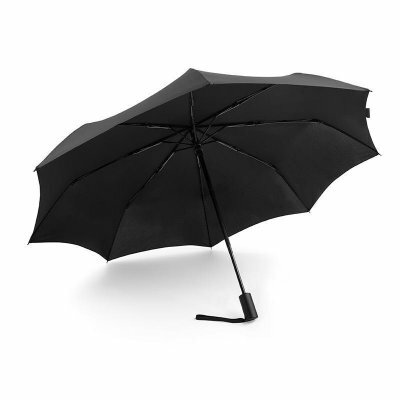 The umbrella skeleton has been made from high-end aluminum and fiber glass. Thanks to this, it does not rust and is nearly impossible to break. The hidden umbrella beads offer increased safety and furthermore add to the elegant design of the Xiaomi umbrella. Whether you use it to protect yourself from rain, wind, or sun - this umbrella from Xiaomi is sure to do its job. This customized Taiwan FONEWR water resistant umbrella keeps you dry during the strongest of rains. After you get back home, the texture of your umbrella allows you to easily clean it and shake of the rain in a couple of seconds. The umbrella furthermore comes with an UVtex fabric coating that offers great UV protection and light shading against bright sunlight. It even comes with a wind resistant structure and safety mechanism that prevents your umbrella from accidentally closing in extreme weather. Thanks to its ultra-lightweight design, your umbrella can be easily carried along anywhere you go. The Xiaomi umbrella comes with a 12 months warranty, brought to you by the leader in electronic devices as well as wholesale outdoor gadgets..